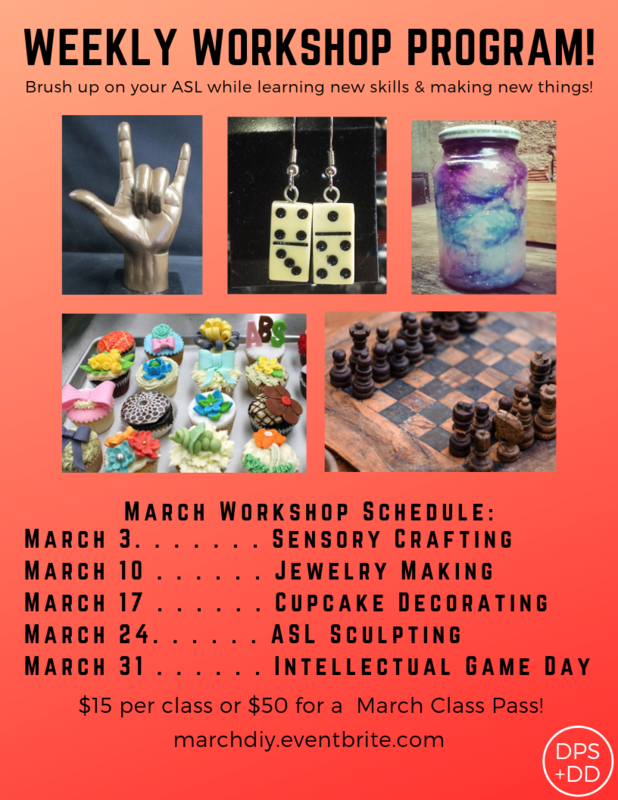 Brush up on your ASL while learning new skills! 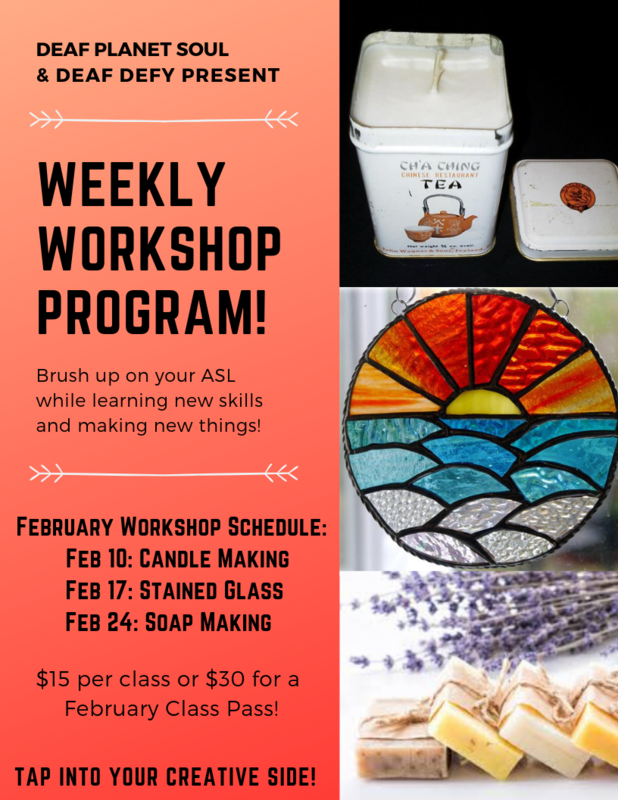 Our Weekly Workshop series is a way for folks to come together and create works of art while bonding over a shared interest in American Sign Language. Don't worry––ASL newbies are welcome, too!